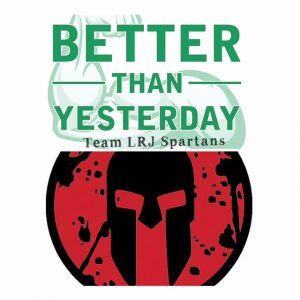 Thank you for sponsoring an LRJ Team Spartan or race participant! We are going above and beyond to be the best team we can possibly be – both mentally and physically. LRJ Foundation is raising funds in order to provide more resources, support, and ultimately, save more lives! We are raising funds in order to provide our youth and community with more resources, support, and education for Mental Health & Wellness. We believe strongly that people who develop strong mental health and wellness at an early age are more successful at combating the stress and pressure that come with being an adult. Ultimately, we believe our programs save lives. LRJ Foundation is an active Mental health & Wellness educational organization that provides schools and your community with live interactive presentations. Over 30,000 students, teachers, and individuals have been educated and provided with resources.